1. What is the woman probably doing? A. She is listening to the radio. B. She is reading books. C. She is watching TV. 2. When will the two speakers probably discuss the plan? A. Over dinner. B. After dinner. C. Before dinner. 3. What does the man plan to watch first? A. A soccer game. B. An earthquake report. C. A movie. 4. Where does the woman probably come from? A. America. B. Ch ina. C. Canada. 5. What’s the probable relationship between the two speakers? A. Husband and wif e. B. Doctor and patient. C. Teacher and student. 6. What did the man do on his weekend? A. He played basketball. B. He went to the cinema. C. He went shopping. 7. What does the woman think of the man’s roommate? A. He’s not bright. B. He’s weak. C. He’s interesting. 8. Where are the two speakers going? A. To a church. B. To an exhibition. C. To a shop. 9. What can we learn from the conversation? A. The man doesn’t know the way. B. The woman is new in the town. C. The two speakers are tourists. 10. What kind of game was it? A. It was a football game. B. It was a basketball game. C. It was a baseball game. 11. Who ran the fastest? A. The man. B. Gary. C. Carl. 12. What do we know about the man? A. He’s not a good player. B. His ankle was hurt in the game. C. He watched the whole game. 13. How many members does the International Friends Club have now? A. About 50. B. About 30. C. About 15. 14. What activity does the club have on Thursday evenings? A. A sports event. B. A language class. C. A get-together meal. 15. What day’s language evening should the woman go to? A. Friday. B. Wednesday. C. Tuesday. 16. What do we know about the woman? A. She wants to find a job there. B. She has many friends there. C. She is new there. 17. Why did the woman get fatter? A. Because there was something wrong with her. B. Because she liked foods rich in fat and sugar. C. Because she never did any sports. 18. What do we know about the woman’s workmates? A. They tried to make her trust herself. B. They helped her to lose weight. C. They laughed at her. 19. How many pieces was the woman’s birthday cake cut into? A. Two. B. Four. C. Six. 20. What can we learn from the text? A. The woman was poor. B. It was hard for the woman to lose weight. C. The woman was not troubled at all by her weight. ★Ticket are available at the General Office of Lam Tin Youth Centre. ★For those who would like to be a volunteer, please contact Miss Olivia Wong one week before the activity. 21. What is going to take place on 2 February, 2018? A. A big event to welcome a Chinese new year. B. A social gathering to raise money for wildlife. C. A party for close friends to meet and have fun. D. A meeting of Kwun Tong High School students. 22. How much do you have to pay in total if four of you go together? A. Tickets are sold in Kwun Tong High School. B. It’s unnecessary to take soft drinks with you. C. Free digital cameras are provided for everybody. D. Students can have festival food as much as they can. Read the following reviews for movies that are showing at the moment. And then answer questions. Happiness tells the story of two peopl e (Lisa Turbot and Danny Roy) who work for different advertising companies. They talk on the phone all the time and don't like each other. But then they correspond by email and fall in love. This movie will be very popular with teenagers and people who like romances. It also has beautiful music. In I Scream，Paul(Colin Jacks)is a young man who joins a thriller club. Each of the members tries to frighten the others. Paul is told to stay in an old house for the night. Everyone who has tried to stay in the house before has died. This movie is very frightening but also quite silly. It doesn't make sense for Paul to stay in the house when things start to wrong. Only for people who like thrillers. This is a very funny war movie set in World War Two. Six soldiers (including Sammy Turblow) have to get to Italy to take secret messages to the American army there. During the movie，they dress up as women and fight with Italian workers. You can guess the ending but it's great fun getting there. This is a very good drama with Jack Ross，who plays a hard¬working truck driver. His wife becomes ill and he has to find a doctor who can help her. In his travels，he meets Dr.Lioyd (Phil Driver)who has found the cure for the illness，but Jack Ross has only twelve hours to get the medicine back to his wife on the other side of America. This is an excellent movie which is very exciting. A.No 1. B.No 2. C.No 3. D.No 4. 25. A thriller is most probably__________________. 26. The underlined word “correspond” can be replaced by _______________. 27. Which of the following is the best title for the fourth film ? E-mail systems at thousands of companies and government offices around the world were attacked by a virus(病毒)called “Melissa” that disguises(伪装)itself as an “important message”from a friend. In spite of a weekend of warnings，more than 50 000 computers at about 100 places around the world have been attacked by the virus，computer security experts said on Monday. The virus began to show up last Friday and spread rapidly on Monday by making computers fire off dozens of infected(被传染的)e-mails. Although the virus causes no serious damage to a computer，its effect was far reaching. To make matters worse，a similar virus called “Papa” was discovered on Monday. Papa is programmed to send out even more infected e-mails than Melissa. The Melissa virus comes in the form of an e-mail，usually containing the subject line“Important Message”. It appears to be fr om a friend. The body of the e-mail message says，“Here is that document you asked for...,don’t show it to anyone else.” Attached(附)to the message is a document file. Once the user opens that file，the virus digs into the user’s address book and sends infected documents to the first 50 addresses. E-mails from the Papa virus include an attached spreadsheet(电子数据文件)file. When the user opens that file，the virus sends 60 infected e-mails. The reason why this is spreading so fast is that you are getting it from people you know. You should never open documents or attachments from people you don’t know. People who get an unexpected e-mail with the “important message” subject line should delete it immediately and not open the message. 28. Thousands of computers were attacked by the Melissa virus _______________. 29. The Melissa virus made a computer _____________________. 30. After the attack by the Melissa virus a computer ________________. 31. If you opened an infected file by Melissa virus，the virus would ______________. Norah had a cottage on a cliff above a big bay. In winter it could be very nasty because of strong winds and sea spray. In fact, when a gale was blowing, Norah and her husband got used to sleeping in a small room downstairs, because their bedroom upstairs, which faced the gales, had a very big window, and they were afraid that an extra violent gust might break it and blow pieces of broken glass over them. Also, the salt spray from the sea put an end to many of the colourful plants Norah planted in her garden. She tried putting up a fence to protect them, but the wind just hit it, went up over the top and then down the other side, so in the end she filled the garden with trees and bushes that liked salt. But most of the summer Norah enjoyed her cottage and garden very much. At weekends she could sit out of doors in the sun, looking at the beautiful view, with interesting ships and boats passing by, and she could very easily cycle down to the sea for a swim. Now, Norah and her husband had plenty of friends and relations. In the summer lots of them used to come to enjoy the beautiful place, and in the end it really became quite annoying for Norah and her husband. When they were at home, they found friends and relations arriving, expecting to be given unlimited drinks and meals, and to sit in the sun for hours, talking as if Norah and her husband had nothing else to do but entertain and listen to them. 32. The underlined word “cycle” can be replaced by_______________. 33. We can infer that________________. 34. Which of the following is the best title ? 35. What is the hairdresser likely to continue to say in the end? Be confident. Confidence attracts most people. Everyone is special and there is only one person like you in this world. Spend some time thinking about your strong points. 37 You won't have much difficulty fitting in. 39 Various activities like playing football can help you to be known to others. You may add more friends to your circle. At the same time, you'll be amazed to see how much they like you. Instead of wasting time being alone, go out to dance and sing together with others to develop friendship. Do smile to everyone every day. I t makes both you and others feel happy. 40 Humor catches others' attention as well. People will like you for making them live happily. If you follow what is mentioned above, you will be accepted by people around you. As a result, you will fit in very well and enjoy your new life. A. Be active in group activities. B. A pleasant smile costs the least and does the most. C. Here is some advice that can help you. D. If so, you will be able to build up confidence step by step. E. A person who cares for others is popular everywhere. F. However, everybody needs friends. G. Even so, it often leaves one to wonder if we fit in well. Arriving in Sydney on his own from India, my husband, Rashid, 41 in a hotel for a short period of time while 42 a house for me and our children. During the first week of his stay, he went out one day to do some shopping. He came back in the late afternoon to 43 that his suitcase was 44 . He was extremely 45 as the suitcase had all his important 46 , including his passport. He reported the 47 to the police and then sat there，lost and 48 in a strange city, thinking of the terrible troubles of getting all the paperwork 49 again from a distant country while trying to 50 in a new one. Late in the evening, the 51 rang. It was a stranger. He was trying to 52 my husband’s name and was asking him a lot of questions. Then he said they had found a pile of papers in their trash can that had been left out on the footpath. My husband 53 to their home to find a kind family holding all his papers. Their young daughter had gone to the trash can and found a pile of 54 papers. Then, her parents had carefully sorted them out, 55 they had found mainly foreign addresses on most of the documents. 56 they had seen a half-written 57 in the pile in which my husband had given his new telephone number to a friend. That family not only 58 the important documents to us that day but also restored our faith and 59 in people. Now, we 60 remember their kindness and often send a warm wish their way. There once were a goat and a donkey 61._______ (live) on a farm. The donkey worked the hardest so the farmer 62._______ (feed) it the most food. Sometimes the donkey was given more food 63._______ it could eat. This made the goat so jealous 64._______ it began plotting against(谋划对付)the donkey. "Hey, donkey," the goat said one day. "I think you do too much work on this farm. You carry such heavy things from morning to night. Why don't you pretend 65._______(get)sick so you can take a day 66._______?'' The donkey thought the goat had a great idea. So the next morning, the donkey lay in the stable(畜栏)on its side with its eyes 67._______(close). 68._______ ( immediate ), the farmer called the doctor. After looking at the donkey, the doctor said it needed a special 69._______ ( medical ) made from the heart of a goat. So the farmer killed 70._______goat and gave the donkey medicine made from its heart. During the summer of 2001, I started reading books by English, mostly stories. I would learn a lot of new words from these books, but I had terribly problems memorizing them. I had to look up to the same word many times, for which was quite troublesome. I realized I do need a way to remember all these new words. It was a great succ ess for myself. I started writing down words from books that I read. I would come back from school and then sit for an hour and two. I wrote down new words and added it to my collection. By the end of last year, my collection has grown to 3000 words. collection has grown to 3000 words. How is everything going?. June 5th is World Environment Day, so our school organized the voluntary activity. Let me tell you about it. On the morning of June 5th, we gathered in the People’s Square. Then, we carried out many activities. First, we performed a play about our environm ent, which attracted a lot of audiences. After that, we gave out leaflets to passers-by to arouse people’s awareness of environmental protection. In the end, we picked up the litter and cleaned the chairs in the Square. In my opinion, the activity is really meaningful. On the one hand, all of us have learned the importance of protecting the environment. On the other hand, we have not only done our part, but also encouraged other citizens to protect it. Do you have such voluntary activities? Looking forward to hearing from you. A. At school. B. At a fishing place. C. At a restaurant. 2. Why does the woman look tired? A. She is very sick. B. She didn’t get enough sleep. C. She was looking after a baby. 3. What does the woman need? A. A housemate. B. A house buyer. C. A room cleaner. 4. What did the man plan to do the next day? A. To buy cartoons for his kids. B. To go to the park. 5. Where was the woman at noon? A. In the dining room. B. In the library. C. In the classroom. 6. Where did the car accident happen? A. At the airport. B. On the highway. C. Near the hospital. 7. What caused the car accident? B. The driver’s sleepiness. C. Speeding. 8. What class notes does the woman want to borrow? A. History. B. Biology. C. English. 9. When will the woman get the class notes? A. Next Friday. B. Next Thursday. C. Next Monday. 10. Where does the woman’s mother work? A. In Spain. B. In Germany. C. In France. 11. Who bought the ticket for the woman? A. Her mother. B. Her grandfather. C. Her uncle. 12. Who will the man help the woman look after? A. Her grandfather. B. Kitty. C. Max. 13. What does the woman think of being a model? A. Attractive. B. Challenging. C. Tiring. 14. What is the hardest thing for the woman? A. Putting on makeup. B. Getting up early. C. Getting the dresses ready. 15. What is the most important thing? 16. What is the possible relationship between the speakers? 17. What type is the film 2012? A. A science fiction film. B. A horror film. 18. What films does the speaker like best? A. Science fiction films. B. Comedy films. 19. What will the speaker do next? A. Go to a cinema. B. Watch a movie. 20. Where is the film The Ring made? A. In America. B. In Japan. C. In Korea. 21. A recent _______shows that most people are worried about the increasing house prices. 22. Qingdao is _________ famous harbour city and we go there for ______ visit every year. 23. ______ your books and make sure the room is clean and tidy. 24. The teacher was so _______ that I didn’t dare speak a word in front of him. 25. I’d like to buy a house in the countryside to _______ the noise of the city. 26. I _______ to Beijing three times so far. 27. Mum! I ______ all my homework. Can I go out with Li Ming now? 28. She was very ___________ to have survived the earthquake. 29. We can’t find John anywhere. Lucy ______ him by phone now. 30. ______ I haven’t had any success. However, I’ll keep trying. 31. —Why does the fish smell so awful? 32. Don’t bother your father now; he’s ______ about his work at the moment. 33. Which _______ of the city do you live? 34. David was badly injured in the car accident. He _______ in the hospital now. 35. —I’ve passed the college entrance examination! On a terrible rainy winter day, I was returning to the office after 36 when I saw a man walking towards me with two huge boxes of papers. Suddenly he 37 them all! It was an awful mess with hundreds of 38 all over the path (小路) 39 me! The man started trying to 40 all the papers. Many people walked past him 41 even a look at him.42 it was the end of my lunch break and I would be43 for work if I stopped to help him, I didn’t mind at all. I knew if I 44 what had happened to my boss he wouldn’t be 45 about it. So I stopped to help the man collect the papers and asked if he would like me to carry a box to 46 he was going for him. He nodded and 47 at me. So I carried one of the boxes. It was too 48 for a girl like me, but I didn’t fall behind. I just 49 him with a big smile on my face. When we got there, he 50 me a lot for helping him out. 51 , I wasn’t that late when I 52 my office! One can’t 53 in the world without the help from others. Sometimes your 54 can really make a difference to people in 55 . The more we help others, the better the world will be. When I was about 6, I really wanted a new bike! I told my parents my birthday wish but I knew there was little hope, for my family could hardly afford one. On my birthday my parents told me they had my gift outside in the backyard. Immediately I rushed out to the yard. There was my bike, but it wasn’t the bike that I thought it would be. This one was pink, old and worn with age. I was so disappointed. I thought I hurt my parents because I could see the disappointment on their faces when they noticed my expression. I got on the old bike and rode it, feeling bad because I had made my parents feel that way. So I put on a smile, rode as fast as I could and didn’t look back. My parents gave me much more than just a rusty (生锈的) old bike. They gave me a life lesson about love. When you give something out of love, it doesn’t matter what it actually is. What matters is the love in it. I like to recall (回忆) this story because giving a gift is not about money or something else. It’s about how much love you can feel from it. Do remember, a gift that costs $2 isn’t necessarily any less valuable than one that costs $100 or even more. 56. Why didn’t the author’s parents buy a new bike for him? A. They were too poor to buy a new one. B. They wanted to give the author a life lesson. C. They thought it was a waste of money. D. The old one was as good as a new one. 57. Why did the author smile as he rode the bike? A. He liked it very much. B. He wanted to make his parents happy. C. He realised his birthday wish. D. He could ride as fast as he could. 58. According to the author, what is the most important about a gift? A. How much it costs. B. The use of it. C. The love in it. D. How it looks. 59. What can we infer from the text? A. The parents were strict to their son. B. The parents bought other gifts besides the old bike. C. The author will never forget his birthday bike. D. A $100 gift is more valuable than a $10 one. In summer, you may find yourself with a lot of vegetables that need using up. Throw in potatoes, rice or even some meat with the vegetables. The best thing about this soup is that you can put in whatever you want. The main ingredients are: onions, carrots, celery, tomatoes and potatoes. 61. How can you make the chicken soup more delicious? A. By adding carrots. B. By using chicken pieces. C. By adding onions. D. By using a whole chicken. 62. What is the most difficult part when making French onion soup? B. Cutting up the onions. C. Making the soup look good. 63. What might be the best soup in summertime? A. Chicken soup. B. White bean soup. C. French onion soup. D. Garden vegetable soup. 64. Which ingredient is needed in all the soups? A. Tomatoes. B. Onions. C. Butter. D. Celery. 65. Which of the following is TRUE? A. Chicken soup is good if you catch a cold. B. Canned beans are cheaper than dried beans. C. It’s difficult to make French onion soup. D. You cannot put meat in garden vegetable soup. The traditional school exercise books and pens could become history. Every student at Writhlington School is offered a laptop. Buildings with wireless (无线的) systems will open soon. The laptop project will cost the school about ￡400,000. Parents are being asked to pay ￡2 per week for their child’s laptop during their study in the school. Those unable to pay will receive economic aid (经济援助). The headmaster, Will Roberts, says parents think it is a "bargain (划算的交易)"because it’s expensive to buy a laptop. "With the help of the laptop, any time the students want to learn, they can. Students there, aged between 11 and 18 can complete their homework by connecting to the school servers (服务器) from home. And their work can be marked at once and teachers share students’ work away from the classroom," Mr. Roberts says. Mr. Roberts points out, however, that children will continue to use traditional learning materials. "There will always be a place for traditional writing and textbooks," he says. "But we want to prepare our students for the real world." The project was started with the help of the government-supported charity, the E-Learning Foundation. It is trying to make information technology more widely used in schools. Spokesman, Kevin Pay, says using computers improves students’work speed —"After all, there is no excuse for not having homework." 66. For what purpose is the school giving each student a laptop? A. To prepare its students well for society. B. To attract more students to study there. C. To draw the attention of the public and charities. D. To reduce the stress of teachers and parents. 67. From the text, what do we know about the project? A. It will begin in several months. B. It has received support from the government. C. It is not good for poor families. D. It is based on some research. 68. What is the parents’ attitude towards the project? A. They like it. B. They are against it. C. They don’t care about it. D. They are worried about it. 69. From the passage we can infer that the school must be a ______. 70. All the following statements are true EXCEPT that ______. I’m from Sydney. It is the capital city of New South Wales and has the most people in the country. Sydney is one of the brightest points on a tourism map of the world and is known all over the world for its beaches, the Sydney Opera House and the Harbour Bridge. The city also has many beautiful rivers and national parks. Another thing that makes Sydney famous is that it has held many international sports, political and cultural events. The city is also known as one of the most beautiful cities in the world. It has got something for every traveller. The sports lovers, the food lovers and the culture seekers can all find something here. Being an all-the-year destination (目的地), the city is really worth a visit. People feel good walking along the sun kissed beaches, eating in the restaurants and going to the shopping centres like the Queen Victoria Building and Pitt Street. These will all make your travel a special experience. Another thing people enjoy in Sydney is the hotels. The Sydney hotels have different styles. They welcome people from different parts of the world. The hotels are often near the tourist attractions and the business districts of the city. They give people a wide choice by offering from 5 star hotels to simple, cheap apartments. Sydney hotels are mainly located in the CBD & Hyde Park, Central Station, Circular Quay and Darling Harbour. The hotels include Four Seasons, Marriott, Hilton, Crowne Plaza and Holiday Inn. With all these wonderful things, we welcome people from all over the world. 71. Why is Sydney famous around the world? A. The weather there is good all year round. B. The hotels are near its shopping centres. C. It has the most people in the country. D. It has something for every kind of tourist. 72. Which of the following is NOT mentioned as a tourist attraction in Sydney? A. The Sydney Opera House. B. The Harbour Bridge. C. National parks. D. Five star Hotels. 73. Why do most people enjoy the hotels in Sydney? A. They have many different styles and prices. B. They are situated in different parts of the city. C. They offer shopping services. D. They provide delicious food. 74. What do we know from the text? A. People go to Sydney with different puposes. B. Most people go to Sydney to watch sports events. C. Circular Quay is a famous hotel in Sydney. D. Sydney has the most visitors in winter. 75. Why did the author write this passage? A. To invite the readers to visit the city. B. To sum up different visitors of the city. C. To express his deep love for the city. D. To give an example of a tourist city. Nice is a city in southern France. It is situated on the Mediterranean(地中海) coast with 347, 060 people (counted in 2006). The city is a main tourist centre in the country. It is the historical capital city of the County of Nice. The first known people lived there about 400,000 years ago. According to a report, the earliest uses of fire date back to around 230,000 years ago. Nice was probably founded around 350 BC by the Greeks. It was given the name of ΝΙΚthen. It was named in honour of a victory over a neighbouring city. Nice soon became one of the busiest trading centres on the Ligurian coast. Nice has a Mediterranean climate. The city enjoys warm temperatures most of the year. It often rains and sometimes rains heavily. It is a windy city, especially in spring. Summers are hot, dry and sunny, and it seldom rains in this season. Autumn generally starts sunny and dry in September but becomes cloudier and wetter in October. Winters are full of cool nights and changeable weather. People go there with different purposes and they will see ________ in different seasons. 79. Which sentence in the text is the closest in meaning to the following one? People there gave the name to the city because they wanted to remember their victory in a battle with one of its neighbour cities. 80. Translate the underlined sentence in the first paragraph into Chinese. Thank you for your last letter. If you have time, do come and have a look. You are sure to fall in love with it. 79. It was named in honour of a victory over a neighbouring city. Thank you for your last letter. I am so happy to introduce my hometown Jinan to you. It is located in the centre of Shandong Province. The city covers an area of 8, 227 square kilometres and has about 6.58 million people. It is hot and wet in the summer and quite cold and dry in the winter. With the rapid development of the economy, many new factories, high-rise buildings have been built here. It is a famous tourist city with a number of attractions. It is called the City of Springs because of the famous springs here. M: It tastes horrible! Loot at the fish! It’s not fresh! W: Yes, but the service here is better than at school. M: You look so tired. Are you sick, Granny? W: No. The neighbour’s baby was crying all night, and I couldn’t fall asleep. M: Hello, I’m calling to ask whether you’re still looking for someone to share your house. W: Yeah, I am. There is an empty room. W: The weather report says there will be heavy rain tomorrow. M: Really? But I’ve promised to take the kids to Disneyland. W: That’s too bad. You can watch cartoons with them at home instead. M: Where were you at noon? I was waiting for you in the dining room. W: Sorry to miss you. I was reading a novel in the library and didn’t notice the time. M: You have a bad memory. W: So, Michael, how did the car accident happen? M: Well, last night I went to pick my daughter and her friend up from the airport. It was raining. When I was driving home on the highway, a speeding car crashed into my car from behind. W: Oh my god! Was anyone hurt? M: I was safe, but the children were not so lucky. I’ve just returned from the hospital. W: Hello, Professor Green. This is Cathy, from your history class. I’m calling to ask whether I can borrow your class notes of last Friday. I didn’t attend the biology and history classes because I had a fever. M: I heard that. How are you now? W: Better, thanks. Will you have class next Monday, Professor? M: Um ... I’m afraid not. M: Yeah, I’ll go to school next Thursday. W: Great! I’ll have classes in the morning that day. After that I will go to your office. M: Judy, I hear you are going to Spain! W: Yes, the company my mother works in gives her a ten-day holiday. She wants me to go see her there. M: Wow! What places will you visit? W: I’ve no idea. I might also go to some other countries, like Germany and France. M: So have you got your passport and air ticket? W: I’ve got my passport. My uncle went to the airport today to buy the ticket. W: Dave, can you do me a favor? W: You know my grandfather doesn’t like pets. Can you look after Kitty while I’m away? M: Great! She gets along with my dog, Max. M: So Lisa, the second question, what’s it like to be a model? W: Well, it’s hard to describe. Most people consider it an attractive job that will make a lot of money. M: What else could it be? W: Um ... Sometimes I have to stand for a whole day and cannot even have a drink. M: It must be very tiring. M: Well, no job is perfect. So, can you de-scribe a typical day of a model? W: OK. If there is a show, I must get up early. That’s the most difficult for me. Then I have to do lots of preparation work like putting on make-up and getting the dresses ready. M: So what kind of training do you need? W: Well, lots of things, like standing in beautiful poses, standing still. And the most important thing is to change clothes as quickly as you can. M: Well, Lisa, thank you so much for answering our questions. I’ll send you our magazine as soon as it comes out. Hello, everybody. Today we are going to watch a movie. So first of all, I will introduce to you some types of movies. I know science fiction films. They are full of imagination —people from distant planets, UFOs, unknown powers from other planets, and heroes to save the world. I like these films because they have exciting high technology and beautiful scenes in them, and I admire the people who stand out to save the world. I’ve watched the science fiction film 2012several times. I like comedy films most. They have interesting plots and people laugh a lot when they are watching them. Whenever I watch the famous actor Zhou Xingchi’s films, I feel very relaxed. And there is another kind of movies that I seldom watch. These films are very popular among youth, especially those made in Japan and Korea, such as The Ring from Japan. The music and pictures in these films are terrible. They are really scary! 1. What does the woman order? A.Fish. B. Chicken. C. Beef. 2. How much money does the man offer the woman? 3. What will the man do this Sunday? A. Go sailing. B. Go shopping. C. Visit his sister. 5. How many people are there in the man’s family? A. Six. B. Five. C. Four. B. The reason the man was sick. C. The man was on vacation..
7. What is the man’s reason for being gone? A. He was sick. B. His wife was sick. C. He was on vacation. 8. Where is the woman going? A. To a hotel. B. To a gas station. C. To a conference center. 9. What does the man say about Trinity Way? A. It is a new street. B. It is closed today. C. It’s a one-way street. 10. Who did the man go to visit for Christmas? A. His brother. B. His uncle C. His grandparents. 11. What did the woman think of her Christmas? A. Great. B. Just-so-so. C. terrible. 12. What will the speaker do next? A. Water some plants. B. Attend a class. C. Learn to ride horses. 13. How many notebooks did the boy buy? 14. Why does the boy carry two smart phones? A. He’s always losing cell phones. B. One of them doesn’t work very well. C. He stays in touch with different people. 15. When is the boy’s birthday? A. In January. B. In March. C. In June. 16. How did the boy probably pay for everything? A. In cash. B. By check. C. With a credit card. 17. What’s the weather like today in Oregon? A. Clear. B. Cloudy. C. Windy. 18. Which city had the lowest temperature? A. Portland. B. Ashland. C. Salem. 19. What will the temperature be tomorrow? A. In the 90s. B. In the 70s. C. In the 60s. 20. When will a storm likely take place? China’s hot word, tuhao, may be in Oxford English Dictionary. In Chinese, tu means rude and hao means rich. In recent years, people use this term to describe those who spend money in an unreasonable way. The word became more popular with Apple’s gold-colored iPhone, which is loved by China’s rich people. The color became known as “tuhao golden”. The word is now often used to refer to people who have money but lack taste. There are two other Chinese hot words: dama and No Zuo No Die, which may also be taken in the dictionary. Dama, meaning middle-aged women, was first used in the Western media by the Wall Street Journal. Thousands of Chinese women were buying a large amount of gold when the gold price had gone down. Another phrase No Zuo No Die, meaning if you don’t do stupid things, they won’t come back to bite you, is also very popular. Other words, such as Maotai, Chinglish and dim sum have also been included in the dictionary. BBC World News recently made a special program called “Tuhao, let’s be friends!” “The frequent use of Chinglish by foreign media suggests that foreign people are looking more to the lifestyle and popular culture of China,” says Zhang Yiwu, professor of Beijing University. What does this trend suggest about the Chinese language’s influence? 21. Which of the following words is NOT a hot Chinglish word? 22. The word “dama” becomes so popular because ________. 23. What does the frequent use of Chinglish by foreign media suggest? A. Foreigners want to know more about the lifestyle and culture of China. B. Foreign people found it funny. C. Chinese is one of the most important languages in the world. D. Chinese people are very friendly. It’s all about personal peace, which means not only an imaginary space around the body, but also the space around all the senses. People feel that their space is being violated(侵犯) when they meet with an unwelcome sound, smell or look. This is probably why a man on a crowded bus shouting into his mobile phone or a woman next to you putting on strong perfume(香水) makes you feel angry. Whether people have had a stronger wish to protect their personal space in recent times is hard to say. Yet studies of airlines show that people have a strong desire to have space to themselves. In a survey by Trip Advisor, a travel website, people said that if they had to pay more for some extra service, they would rather have larger seats than extra food. Although people may need their personal space, some hardly realize it. For example, people on a bus who hold newspapers in front of their faces to read in fact keep a distance from strangers. Go and watch a library table. You will notice that one of the corner seats will usually be taken first, because they are the farthest way. What if someone sits opposite to you? Maybe you will pile up books as if to make a wall. Preference for personal space is different from culture to culture. Scientists have found that Americans generally prefer more personal space than people from other cultures. In Latin cultures, however, people are more comfortable standing close to each other. 24. The writer mainly _________ in this article. 25. _______ might feel his personal space is safe according to the passage? A. A person who has to sit next to a lady putting on strong perfume. B. A person who has been watched by a stranger for a long time. C. A person who hears strange noises when reading at home. D. A Latin boy who is chatting with a friend sitting close to him. 26. What can we know from the survey by Trip Advisor? A. People need a smaller personal space in recent times than before. B. People have a strong desire for personal space in recent times. C. There are not enough seats on the plane to meet people’s needs. D. Food service is better provided than seats on the plane. 27. Which of the following is TRUE according to the passage? A. The space around the body is more needed than that around all the senses. B. If you hold newspapers on the bus, your personal space won’t be violated. C. People usually choose the corner seats first in a library for personal space. D. Different cultures share the same preferences for personal space. When Johnnie Martin was in the second grade in high school, one day a psychologist of the school called him into his office. Johnnie never went back to school. Jobs were scarce in town, but he managed to keep busy mowing the lawns of the householders and puttering in their flowerbeds. Before long he discovered he had an eye for color. “The town’s got no money for it,” said the alderman. The alderman was shocked to find someone who did not want money. He took Johnnie into an office, and when the young man came out he had the authority to clean up the public eyesore. Before long the old dump became a little beautiful park. It was also a kind of show window for Johnnie. People saw the result of his skill and knew him as a natural landscape gardener. That was twenty-five years ago. Today Johnnie is the head of a successful business in landscape gardening. His aging parents are proud of Johnnie, for he is not only a success, but he has also made his part of the world a lovelier place to live in. 28. The psychologist called Johnnie into his office to ________. 29. What did Johnnie Martin have a gift for? A. Drawing. B. Gardening. C. Repairing. D. Engineering. 30. The underlined part “the public eyesore” refers to ________. 31. What can we infer from the passage? A. Where there is a will, there is a way. B. Gardeners are born and not made. C. Everyone has something special. D. Interest is the key to success. According to new research from the University of Cambridge in England, sheep are able to recognize human faces from photographs. The farm animals, who are social and have large brains, were previously known to be able to recognize one another, as well as familiar humans. However, their ability to recognize human faces from photos alone is novel. The recent study, the results of which were published in the journal Royal Society showed that the woolly creatures could be trained to recognize still images of human faces, including those of former President Barack Obama and actress Emma Watson. Initially, the sheep were trained to approach certain images by being given food rewards. Later, they were able to recognize the image for which they had been rewarded. The sheep could even recognize images of faces shown at an angle, though their ability to do so declined by about 15 percent – the same rate at which a human’s ability to perform the same task declines. Recognizing faces is one of the most important social skills for human being, and some disorders of the brain, including Huntington’s disease, affect this ability. “Sheep are long-lived and have brains that are similar in size and complexity to those of some monkeys. That means they can be useful models to help us understand disorders of the brain, such as Huntington’s disease, which develops over a long time and affects cognitive abilities. Our study gives us another way to monitor how these abilities change.” Morton said. 32. According to the new research, what’s unusual about sheep? A. They have large brains. B. They can recognize their owners. C. They can recognize human faces from photograph. D. They can tell animals from humans. 33. How did the researchers train the sheep? A. By giving food rewards. B. By showing photos of humans and monkeys by turns. C. By guiding them to follow their handlers. D. By showing photos of famous people. 34. What can be inferred from the passage? A. Sheep have a higher face-recognition ability than monkeys. B. The sheep’s face-recognition ability may prevent some disorders of the brain. C. The sheep’s face-recognition ability says the same when shown photos at any angle. D. The new discovery is beneficial to the study of cognitive ability changes. 35. What’s the best title of the passage? A. A Wonderful Scientist. B. How Sheep Recognize Each Other. C. A New discovery about Sheep. D. The Life of Sheep. Do you have the experience of digging out your suitcase, deciding what to bring and being afraid that you’ve forgotten something? 36 . Hope they can transform the way you pack. Do you wait until the last minute to pack? Keep a basket in your bedroom, living room, or bath room that you can use to throw in items you need to pack as you come across them. 37 . Besides, you can just put the contents of the basket into your suitcase if you are in a hurry to leave for the airport. You won’t need to worry about carefully packing your items of clothing if they’re made from wrinkle-free materials. 38 . They’ll still look fresh and bright when you are in them at your destination. Chances are that you end up taking trips that require you to pack similar items. Keep old packing lists from former vacations to the beach, ski resort, and city – that way, you’ll always have a list of at least the basics. 39 . So you don’t need to waste your effort to remember where you left your hand-written packing lists. Time can slip away from you before a trip ---- you may be caught up at work, at home, or be occupied with other responsibilities of daily life. 40 . That way, you will not need to do your packing frantically(狂乱地)from the last minute to 1 o’clock on the day you leave. A. Buy necessary stuff when you arrive. B. That’s why I’ve distilled(提炼)the art of packing down to some essential trips. C. Just roll them up or put them at the bottom of the suitcase. D. Determine a night well in advance of departure to pack. E. Rolling your clothes is the best way to save space for the suitcase. F. The best way to do this is to save them on your computer. G. This makes you less likely to forget the stuff. A merchant sent his son to learn the secret of happiness from the wisest of men. The young man __41__ through the desert for forty days until he reached a beautiful castle(城堡) __42__ the sage(圣人) lived. When the young man entered the castle, the wise man was talking to his guests, and the young man had to wait for two hours __43__ it was time for him to meet the sage. The sage listened attentively to the reason for the young man's __44__， but told him that he did not have the time to __45__ the secret of happiness. He __46__ that the young man should take a walk around his palace and come back in two hours' time, __47__， giving the young man a teaspoon, into which he __48__ two drops of oil, telling him not to let the oil __49__. Nowadays，we can find advertisements almost wherever we go. We are so used to them 61________ we often do not even realize how many we see and hear in 62___________day. An advertisement uses words and pictures 63__________(persuade) people to buy a product or service, or to believe 64__________ an idea. There are two main types of advertisements----commercial advertisements 65_____________public service advertisements (PSAs). A commercial advertisement is 66_________someone has paid for to advertise a product or service. PSAs are often run for free, and 67 ____________ (mean) to educate people about health, 68____________ (safe), or any other problem that affects public welfare. When 69_____________comes to advertisements, we must all use our 70____________(intelligent) and not be a slave to them. 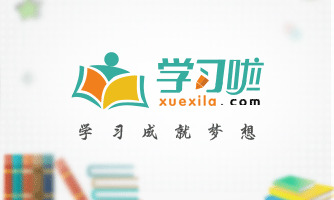 My name is Lihua, who is Senior 3 student from Xing Guang Middle School. Every day I have to get up on 6:10 am, when much people are still sleeping. I’m busy with my studies because I have a lot of homework to do, which make me feel under great pressure. English is the subject in that I’m interested. When I feel stressing, I’ll turn to my best friend Mike for help. We have been best friend since we are very young. Whenever I’m in trouble, he will cheer him up. Now I’m trying my hard to prepare for the college entrance examination. I hope to be admitted into Zhejiang University. I am Li Hua, Chen Li’s classmate and also Chairman of the Students’ Union in our school. I would like to recommend Chen Li to be a volunteer in your All-for-one Tourism Association in Liling. In my eyes, Chen Li is a friendly and outgoing girl. She often takes an active part in various school activities to enrich her life. Besides, as the monitor in our class, Chen Li has gained rich experience in dealing with people and different situations. What’s more, in terms of academic performance, she is a straight A student. More importantly, she is a native in Liling and very familiar with the history and culture of the scenic spots here. With rich social practice experience as well as good communicating abilities, Chen Li is able to work as a volunteer in your association. Therefore, I strongly recommend her to you as I think she is the right person for this position.